The full edition of OST album for KBS 2TV melodrama Love Rain (Sarangbi) starring SNSD member Yoona and Jang Geun Suk is released on April 24th, 2012. 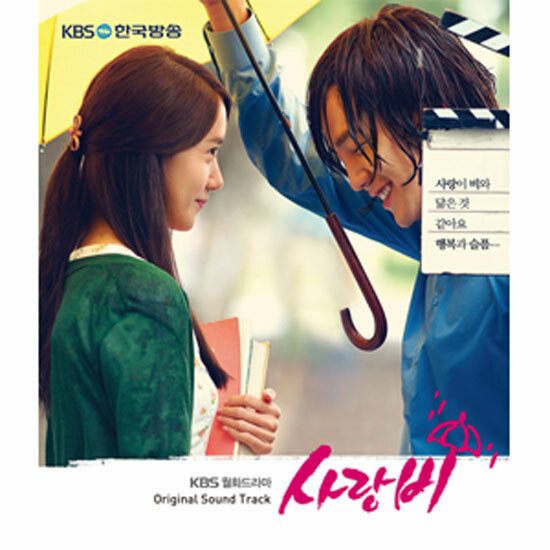 The Love Rain: Sarangbi OST album leaves a deep impression with its moving score and memorable themes. The soundtrack includes Jang Keun Suk’s title theme song “Love Rain” as well as Girls’ Generation member Tiffany’s “Because It’s You” and Na Yoon Kwon’s “Love is like Rain”. Love Rain: Sarangbi OST album contains a total of 12 tracks, which 5 previously released OST singles and 7 music tracks. Love Rain (사랑비) Piano Ver. Again and Again (자꾸 자꾸) Guitar Ver. The Girl and I (그 애와 나랑은) String Ver. Love Rain: Sarangbi OST Album is available on major music stores such as YesAsia (aff).